I’m not the biggest fan of Twinkies but my kids love them. They don’t get them on a regular basis so I figure that Valentine’s Day is a great time for them, and why not make them festive? 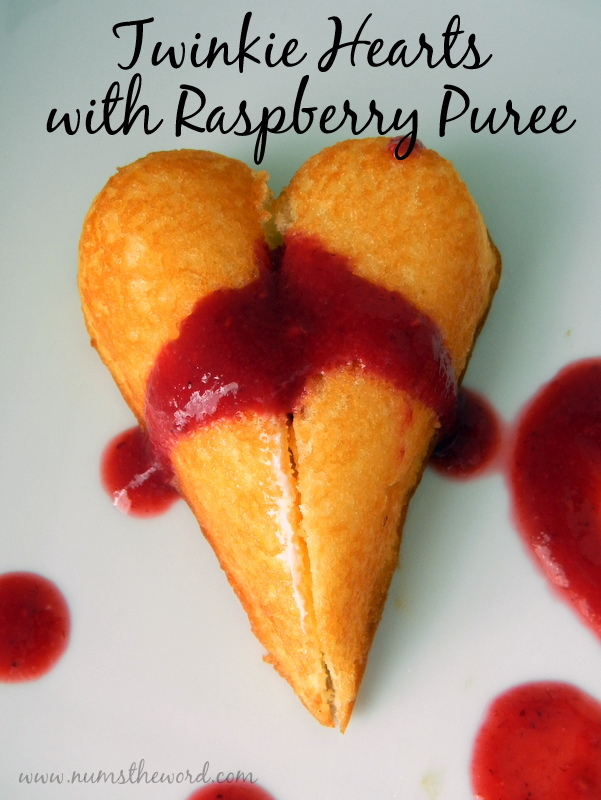 Get the recipe for the raspberry puree from Nums the Word.